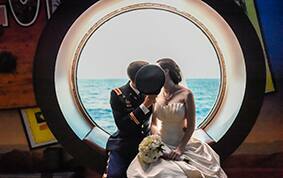 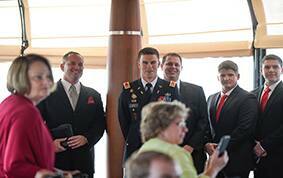 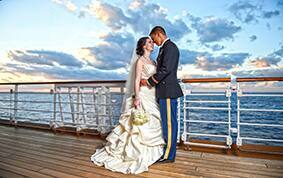 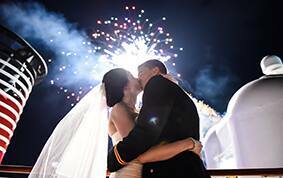 As avid cruisers, a Disney Cruise Line honeymoon was a given for Lydia and Dave. 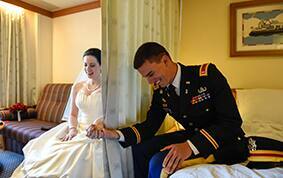 But choosing a wedding venue was a bit more challenging for them as the couple and their families were scattered throughout the country. 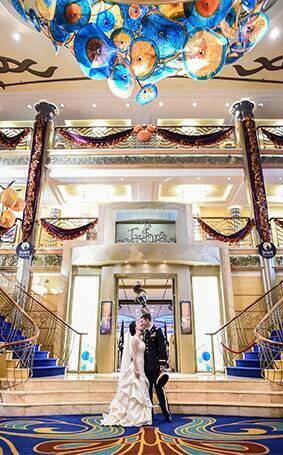 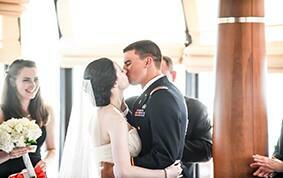 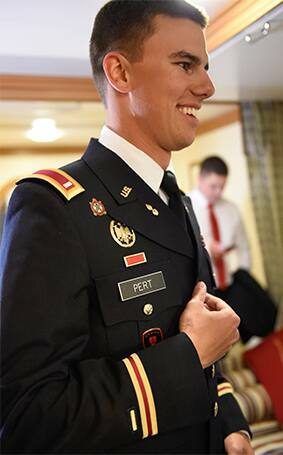 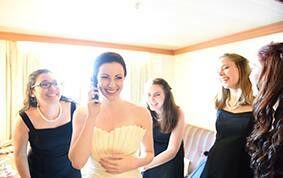 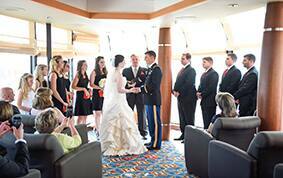 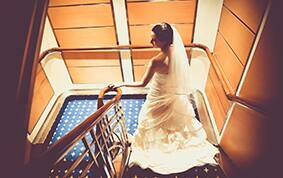 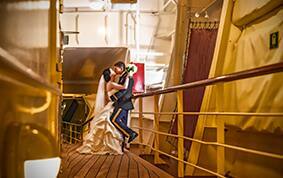 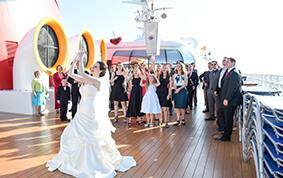 When Lydia discovered she could have a Disney's Fairy Tale Wedding aboard Disney Cruise Line, her heart skipped a beat. 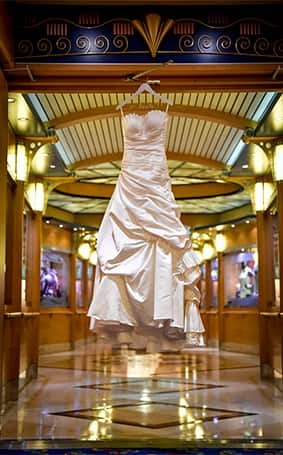 She nervously called Dave hoping he would be open to celebrating their love with a Disney Cruise Line wedding AND honeymoon all in one. 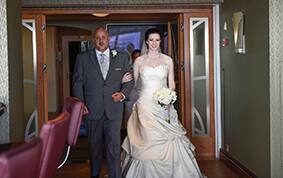 Turns out he was just about to call Lydia to discuss the same amazing option! 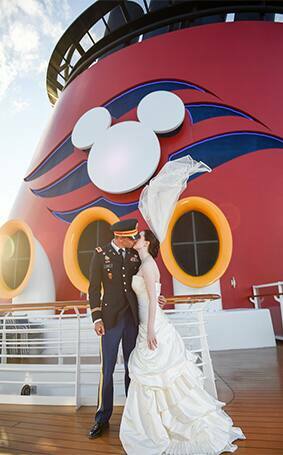 Their nautical nuptials at Outlook Cafe aboard the Disney Wonder were simply meant to be and I think it's safe to say the happy couple sailed off into a perfect happily ever after.